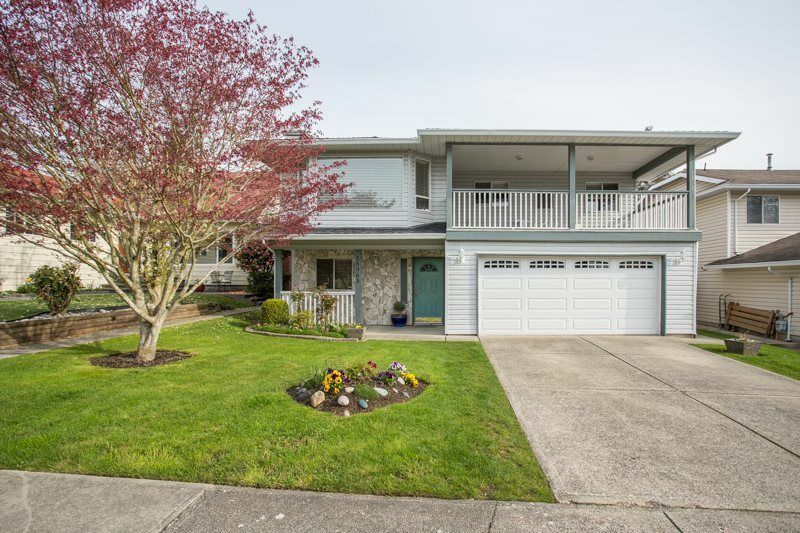 Immaculate home in great location that's a short walk to french immersion schools Peace Arch & Earl Marriot. Upstairs nicely updated about 10 yrs ago, with new flooring, paint, 2" blinds, kitchen, as well as roof. Entertainment size south exposed covered sundeck. Kitchen & nook overlooks pristine rear yard, with newer fencing all around. Upstairs is 3 bedrooms & 2 baths. Downstairs is bright 2 bdrm self contained suite with shared laundry, private entrance & private patio. Suite has fireplace heat, electric baseboards & new walk-in shower. OPEN house Sunday May 20th CANCELLED .